With an increasing number of older U.S. citizens traveling abroad, the State Department has launched a campaign to promote safe travel habits among this demographic. According to various sources, including AARP, Baby Boomers are traveling with increased frequency and becoming more adventurous. A recent AARP report noted that those who are 50-plus plan to take between four to five trips in the next year. 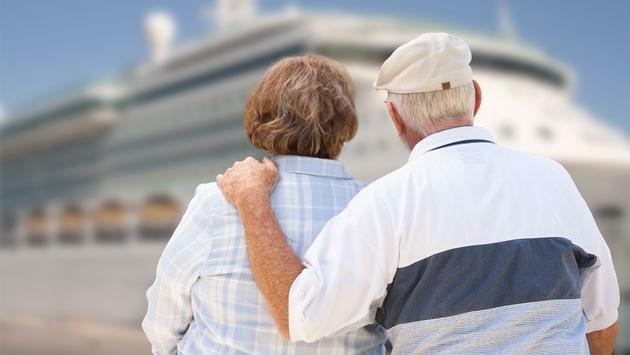 Overseas Adventure Travel meanwhile, reported a few years ago that there’s an increasing percentage of travelers aged 50 and older who are booking trips as solos, regardless of their marital status. On top of all of that, Aging.com, part of the National Council for Aging Care, recently shared a study highlighting the fact that older people want to do more than fill time during their retirement (not exactly shocking). The site went on to note that traveling is one of the most fulfilling and exciting activities that can be explored during retirement. —Stay Connected. When preparing for a trip abroad, you can register to receive safety and security updates about your chosen destination via STEP. Enrolling in this program also helps the State Department locate you in the event of an emergency. To sign-up visit step.state.gov. Yet another important part of staying connected is checking with your mobile phone plan provider about plans that allow you to make calls or receive text messages while overseas. —Consider Medical Challenges. The State Department says it’s a good idea to consider purchasing additional health insurance or travel insurance when exploring abroad, including coverage for medical evacuation in the event you need to return to the U.S. unexpectedly. In addition, keep in mind that Medicare does not provide coverage overseas and private insurance plans may require you to pay for costs directly and then get reimbursed. These are just a few of the tips provided by the State Department checklist. The full list can be viewed and downloaded here.